September 6, 2010 - Jeppesen and the Russian Ministry of Transportation have agreed to a new contract that supplies Jeppesen with access to Russian domestic airport data. As Jeppesen previously had been granted access to Russian domestic airway system data, the agreement increases Jeppesen navigation, operations and optimization solutions available for Russian operators. With access to both domestic airway system and domestic airport data, Jeppesen will be able to provide customers with a complete Russian flight information solution, which includes domestic and international NavData? services, JetPlan flight planning, OpsData aircraft performance analysis and paper and digital charting. Jeppesen processing of Russian domestic data also helps to enable the transition from paper to electronic charting information on the flight deck for Russian operators. ?Inclusion of Russian domestic information onboard FMS navigation databases, flight planning systems and terminal and enroute charting provided by Jeppesen will allow us and other Russian airlines to increase safety and the economic efficiency of Russian domestic flights,? said Alexander Sharun, chief navigator and head of the UTair Airlines air navigation/AIS department. ?Complete and accurate aeronautical information related to Russian domestic airports and airways is critically important to our operation.? Through the agreement, Jeppesen?s NavData? 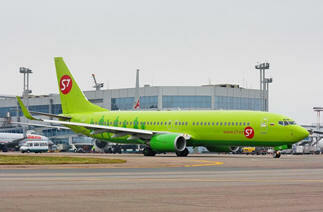 databases will contain all Russian airways as well as international and domestic airport and runway data. Aircraft flight management systems are now able to process this data. Domestic Russian approach, arrival and departure procedures will be gradually added to the NavData? database. ?The addition of processed Russian domestic airport data into the Jeppesen Aviation Database provides a wealth of new solutions available to improve flight-critical information delivery for our Russian customers,? said Gregor Schneider, Jeppesen data product manager, Aviation. The new airport data provides increased value for our Russian customers, while our enhanced total information solution also works to increase efficiency and optimize operations on the ground and in the air.? Publication of Jeppesen terminal charts for Russia in both paper and electronic formats started this summer and enroute chart solutions with domestic airway information are planned to be available by the end of the year. The information about the Russian domestic airway system and domestic airports may only be used by operators registered in the Russian Federation. There is a procedure in place for foreign operators on how to receive permission to use domestic airports and airways of the Russian Federation, if required for flight operations. Continental CEO Denounces ?Distortion Of Facts?